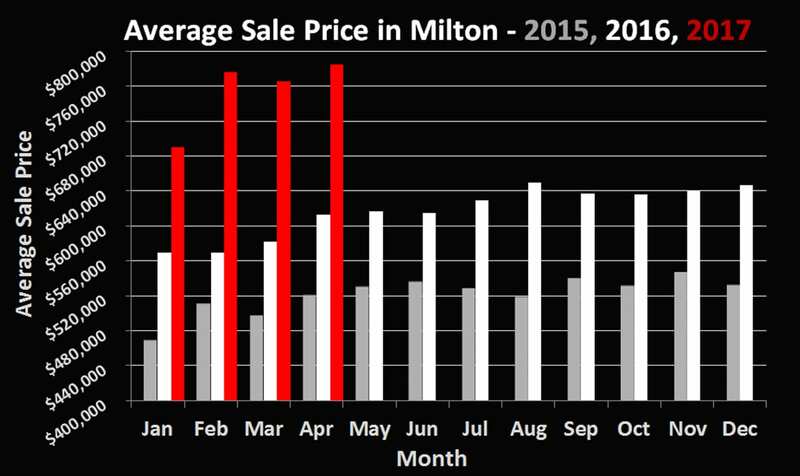 Much like in April every year, we are experiencing an all-time high in Milton for average sale price. The 284 sales in April 2017 represent a slight 1.14% increase in volume year-over-year. The average price of a home was a staggering $785,250 up 28.1% and nearly $175,000 since last April. These numbers don’t tell the whole story though, as recent government regulation appears to have initiated some market changes. 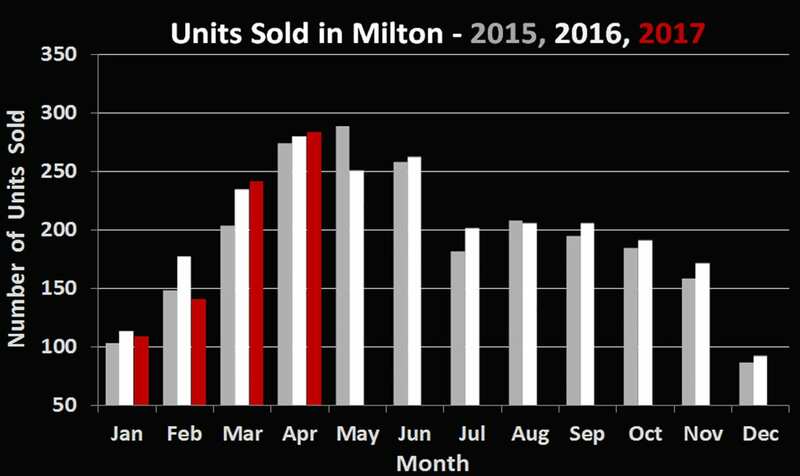 The average sale price was “only” 108.8% of list price vs the 113.3% we saw in March. April 20th the government announced a suite of new regulations for the Ontario housing market. A 15% foreign buyer tax appears to be most significant, followed by an array of rules to try and curb high rent prices and increase supply of new homes. Buyers had already taken a step back prior to the announcement and now appear to be awaiting to see the potential impact prior to re-entering the market. Inventory has grown in the past few weeks and there are now opportunities for buyers to purchase homes without having to compete, or while once again being able to include conditions for financing/inspection. If you would like to discuss your options with regards to making a move in this incredibly complex changing market, call or send us an email. We’d be happy to meet with you and walk you through the best plan of action.